Everyone’s on the take… except in the U.S.? In the two months of testimony so far in El Chapo’s trial, nearly every level of the Mexican government from the President on down: from Generals to prison guards, from airport officials to the Mexican Attorney General, has been shown to be on the take. All have been compromised. 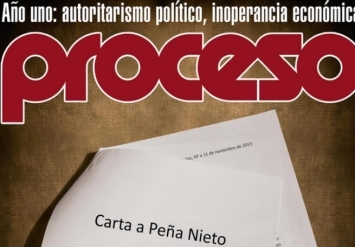 Even the architect of the Mexican government’s war on Mr. Guzmán and his allies — Genaro García Luna, the former public security director — is taking briefcases stuffed with cash. One of the trial’s star witnesses, ‘El Chupeta,’ who the DEA once called the biggest drug trafficker since Pablo Escobar, calmly told the jury an entire wing of his North Valley cartel was devoted just to doling out payments. Mexican presidents Felipe Calderón and Enrique Peña Nieto, Venezuelan Presidents Hugo Chavez and Nicolás Maduro, and every one of Columbia’s recent Presidents, including Alvaro Uribe, who in retirement today oversees the resurgent Medellin cartel… all have a piece of the action. Not to mention every tin-horn General in Honduras, and fascistic Central American dictators whose iron rule is responsible for the hordes of civilians who have been fleeing to our shore. Donald Trump’s mentor Roy Cohn was right. Men and women are human. They can be bought, bribed, threatened or cajoled. It is the basis of organized crime. Fernando Blengio Cesena knows a lot about corruption, especially at the top of the Mexican government. He was a transportation and aviation manager purchasing dozens of American-registered aircraft, ‘go-fast’ boats, and ocean-going vessels, for use by the Sinaloa Cartel. 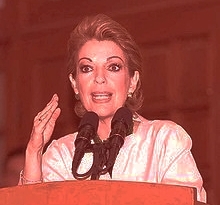 Blengio was also at onetime a personal pilot to former Mexican president Vicente Fox. Today he sits in federal prison in North Carolina. American citizens are requested to ignore a lot of what he knows. The investigation which followed briefly threatened to become the most notorious drug scandal since Iran Contra, and led to the forced sale of Wachovia Bank, the U.S.’s 4th largest bank, for laundering drug money used to purchase dozens of American-registered airplanes by the Sinaloa Cartel. 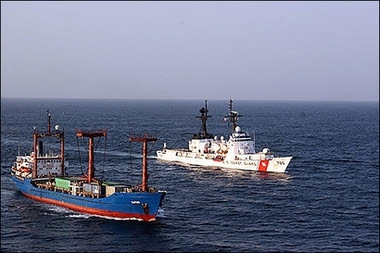 Amazingly, Blengio was also behind what became the largest maritime seizure of drugs in US history, according to the DEA and Coast Guard: The seizure of 19 tons of cocaine aboard the MV Gatún in the Pacific Ocean, near the Panamanian island of Coiba. 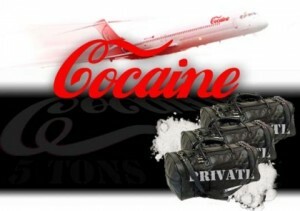 The DEA estimated the load was worth (conservatively) $300 million dollars. It beat the previous record in a maritime operation by almost half. 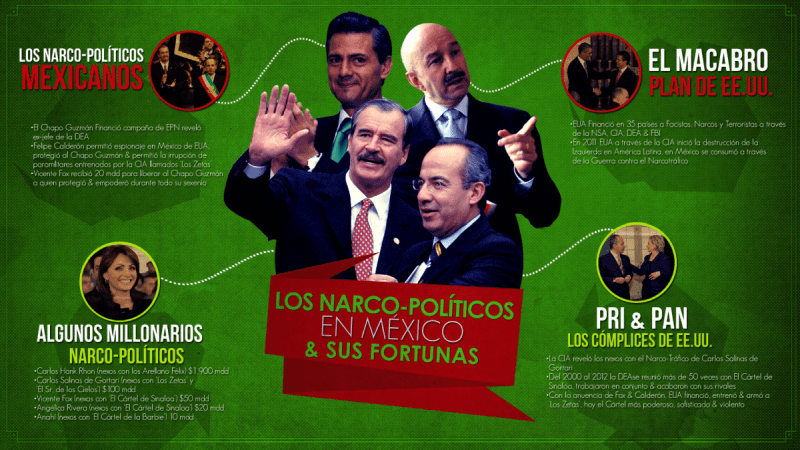 Media reports linked the seizure to the Zambada faction of the Sinaloa Cartel. Assistant US Attorney Andrea Hoffman in Miami specializes in major drug trafficking cases. Her efforts to suppress Blengio’s testimony are part of a pattern of withholding information in major drug prosecutions that have seen her actions called into question by two Federal Judges, as well as in newspaper reports. In another case, U.S. District Judge Marcia Cooke said she did not believe Hoffman’s claims to have been unaware the DEA was making payments to Colombian officials scheduled to testify in the U.S. in a drug trafficking trial. The judge was “personally frustrated and disappointed,” and “clearly angry at the prosecutor,” reported the Miami Herald. 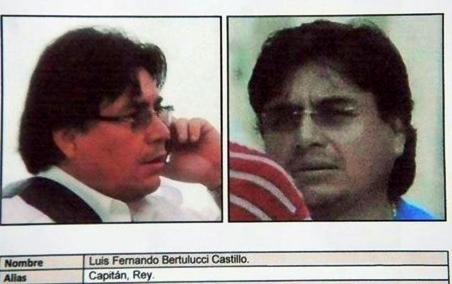 According to a report by Univisión, prosecutor Andrea Hoffman accused Blengio, alias Luis Fernando Bertolucci Castillo, of trying to sell testimony to other inmates in the detention center in Miami, Florida, where he was being interned while awaiting trial. Yet when he was prosecuted by Hoffman and pled guilty to drug charges in 2012, the news was a closely-guarded secret for more than two years until being ferreted out by enterprising Venezuelan newspaper El Universal. 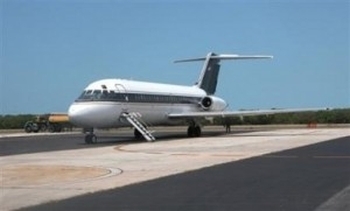 According to journalist Joseph Poliszuk, Blengio, using the alias Alfaro Jiménez, bought the DC-9 which landed at the airport in Ciudad del Carmen in Mexico’s Yucatan in April 2006 carrying 5.5 tons of cocaine. 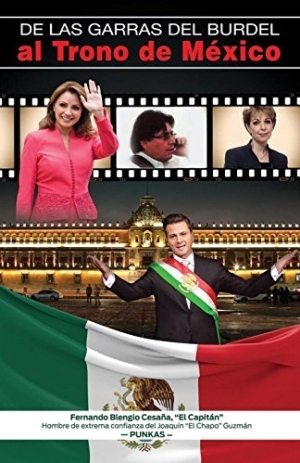 Because Hoffman also prosecuted Mexican currency exchange Casa de Cambio—which laundered the money used to purchase the DC-9 through Wachovia Bank—she must have been fully aware of Blengio’s role in the saga. Why Hoffman kept information on the case secret has never been revealed. But knowledge of the inner workings of the drug trade is denied Americans as a matter of course. Citing‘national security,’ Andrea Hoffman and others like her obstruct, interrupt, and impede attempts to gain an understanding of who ends up with all that long green. “I met with a group of Assistant prosecutors and Special Agents from Chicago, in an extensive meeting in regard to Vicente Zambada Niebla,” stated Blengio in an affidavit. “They wanted to know about my deals with Vicente Zambada,” Blengio told me. Vicente Zambada is the government’s star witness currently testifying in the trial of El Chapo. “El Chapo” Guzmán maintained contact with the US Drug Enforcement Agency ( DEA ) when he was a fugitive from justice in 2007,” said Vicente “Vicentillo” Zambada , son of Ismael “Mayo “Zambada, partner of the El Chapo. According to Zambada’s testimony, the DEA sought his collaboration…and only his. He described himself as a “double agent for the DEA.” So it’s clear why no one would want to hear testimony from Blengio that might upset that precarious apple cart. “How is it possible that my personal information, including my prisoner number, was leaked to both the US and the Mexican press?” Blengio asked plaintively. This is exactly the kind of government action everyone familiar with the behavior of banana republics has heard about many times. But, supposedly, not here. After the seizure of the 5.5 tons of cocaine in Campeche, Mexican authorities searched his residence and seized all documents with his real name. In a panic to leave the country, and with a new passport under an assumed name, Blengio left Mexico, and settled in Venezuela. But when authorities there discovered his presence, they didn’t extradite him to Mexico or the U.S. Instead Venezuelan police turned him over to…the Sinaloa Cartel. Of course, Venezuela had something to lose. 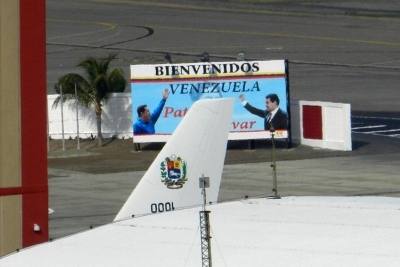 Blengio had paid off high military officials to allow the DC-9 to use a hanger adjacent to the presidential hanger at the airport in Caracas. 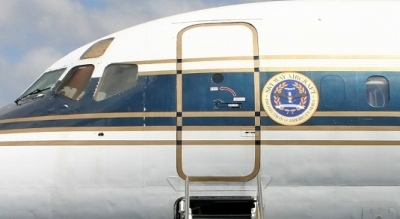 He was kidnapped and held for two months until able to raise $4 million dollars to pay El Chapo, who blamed him, perhaps rightly, for the loss of the 5.5 ton load, because the DC-9 had had mechanical difficulties which were largely responsible for its seizure. 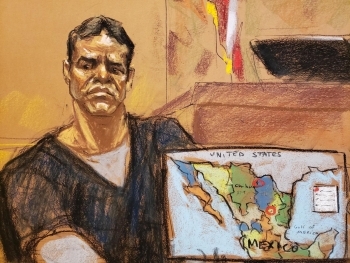 In the trial of El Chapo Guzman, hints of what’s happening in every country south of the U.S. border have been allowed to surface, if only briefly. But not a word has—or will be—spoken about the elephant in the room: It’s not just happening in Mexico. It happens here too. Those being rewarded today look remarkably similar to the people on the take during Prohibition: corrupt politicians in both political parties, the DEA, law enforcement officials, Southern Sheriffs… and most importantly: Bankers, from the world’s most powerful banks. However none of the witnesses for the prosecution will breath of word of this in their testimony, for fear of jeopardizing their ‘most favored nation’ status—their get out of jail, if not free, then more quickly—card. So it comes as no surprise that in the secrecy-obsessed trial of El Chapo currently underway in New York, an unscrupulous federal prosecutor in Miami, who has been called a “serial offender” in newspaper reports, used false accusations to prevent top Sinaloa cartel figure Blengio from testifying in the trial of El Chapo, as well as the trial of Vicente Zambada, the government’s chief witness against El Chapo. Today the drug trade is orders of magnitude larger than top firms like Apple, Google, and Amazon combined. But even traditionally ‘liberal’ voices like London’s Guardian assiduously skirt the obvious truth. While making reference to the strange silence surrounding the case. And the notion that American authorities, influenced by the bankers they serve, exert any control over the industry that may be the largest in the world? 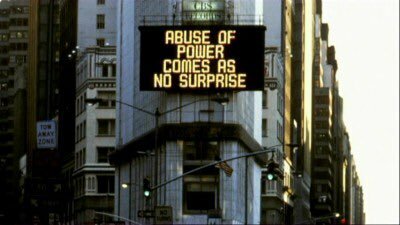 It violates the big taboo. 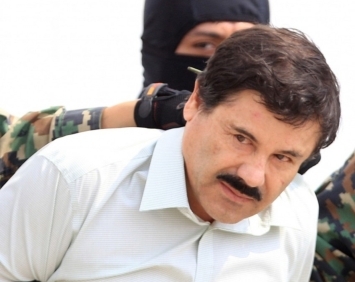 Two-thirds of the way through the trial of El Chapo Guzman, it is common knowledge that the most egregious evidence of corruption isn’t and won’t be heard; that the prosecution, aided by the judge, have nixed all testimony implicating American politician and banks, without whose cooperation the drug trade could not exist in its present gargantuan state. The trial of El Chapo has wasted one of our civilization’s “last best hopes” for a true reckoning. Tant pis. January 18, 2019 in NARCO-POLITICS: Black Budgets & Black Ops.